As social media becomes a standard component of most organisations’ marketing mix and a source of rich customer insight, its spend is being scrutinised, with better justification and metrics required to engage a vast social media landscape. This analysis requires a rich analytics environment, says a best practice guide from IBM, which gives key questions to ask when embarking on social media analytics initiatives, covering the key areas of assessment, measurement and integration. Social media is re-shaping the way organisations engage their customers, the report’s authors say, as well as the way they nurture their relationship to brands, products and services. With 65% of social media users saying they use it to learn more about brands, products and services, there’s tremendous opportunity for marketers to engage and learn. For marketers, an important part of social media’s value lies in its ability to aggregate communities of interest, identify specific demographics and thus enable marketers to precisely segment and engage their audience. The goal, of course, is to monetise these outputs – to capture the interaction with a brand, product or service, and distill from this information the drivers of preference and ultimately purchase. understanding emerging consumer trends and apply predictive models to determine actions with the highest probability to increase relevance and maximise ROI of marketing campaigns. How do customers interact with you today? Where and when do they use social media? Are there significant influencers who speak to your brand or products? Who are you targeting with your social media initiatives and why? Sales over the life of the customer relationship? What is your vision for social media and its integration into operational marketing systems? Do you have a profile of your customer advocates? Can you predict sentiment on products, services, campaigns? How do you measure the effects of social media on brand equity and reputation, pipeline, and sales orders and margins? 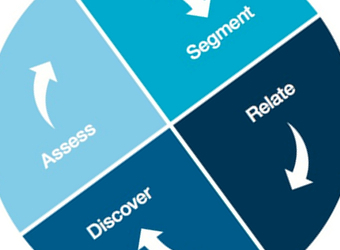 How will you integrate social analytics into other customer analytics?